New Paddy Power Customers Only! Using real money to gamble online can be such a pain, particularly with all the personal details you need to provide. Additionally, there is the problem of privacy. With all the internet scams floating about, providing your bank details can be worrisome, to say the least. Thankfully, there is now a way to avoid this problem: use cryptocurrency instead of real cash. Since Bitcoin was created in 2009, more and more cryptocurrencies have started popping up. Thanks to their popularity, a number of gambling sites now recognise them as a form of currency. 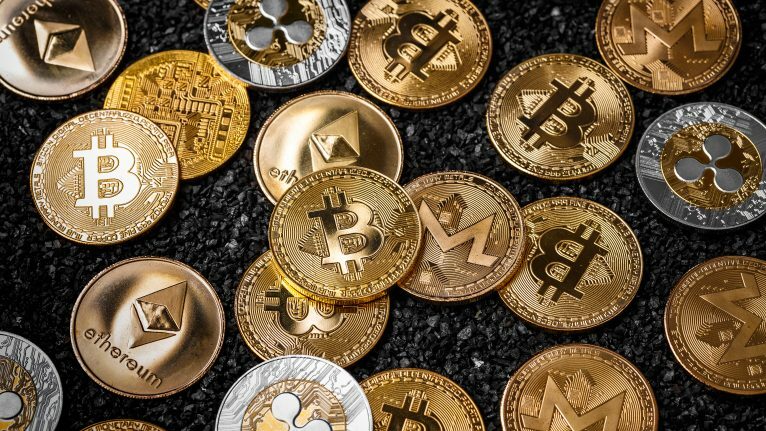 In this article, we explore the top 2018 cryptocurrencies for online casinos. Why Use Cryptocurrencies to Gamble Online? There are many reasons to use cryptocurrencies to gamble online. For starters, cryptocurrencies are decentralised. This means that no banks have jurisdiction over the transactions made using them. Because of this, your personal details are protected and you can remain anonymous while using the casino. The bonuses available are another good reason for using cryptocurrencies. Typically, online casinos will offer new players a generous welcome bonus. Often, this is as much as a 100% match on their first deposit. However, this is usually capped at a few hundred pounds if you’re using real money. If you’re using cryptocurrency, though, there is often no limit. Created in 2009, Bitcoin was the first ever decentralised cryptocurrency. It was invented by an anonymous person or group of people using the name Satoshi Nakamoto. Being the first of its kind, most online casinos were reluctant to accept it as a form of currency. As it became more popular, however, a few betting sites took the plunge and developed software to accept it. 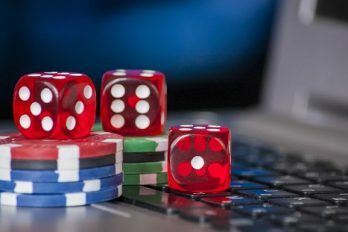 Before long, it became apparent that players preferred it over real money; this led to Bitcoin being accepted by almost every major gambling site. In just a few years, the currency became synonymous with anonymous gambling. Generous bonuses are offered to Bitcoin users, with many sites giving out the highest you can find. Popular Poker website, Bovado, offers a 100% welcome bonus which can reach 5BTC. Currently, this amount is equivalent to almost £20,000. For many new products, it can take years for people to start trusting and noticing them. However, this wasn’t the case for Ethereum. Said to be a new and improved version of Bitcoin, Ethereum became popular overnight. Ethereum is even more secure than Bitcoin as it’s based on a new model of cryptocurrency. 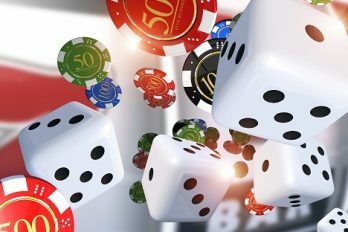 With many betting sites already starting to implement this model, Ethereum is one of the most popular 2018 cryptocurrencies for online gambling. The currency is particularly popular amongst poker players. An upcoming platform, Virtue Poker, claims to provide the best and safest poker experience. As the system data is transferred through the players device instead of running on a server, all personal details are kept out of harm’s way. Litecoin is another popular cryptocurrency for online gambling. While it is similar to Bitcoin, it has two main differences. Firstly, it uses a more complicated algorithm. As it’s more complicated, it’s harder for people to hack. To do so, the hackers would have to splash out on incredibly expensive equipment that can run it. With this in mind, your personal details are more secure when using Litecoin. The second reason is the speed at which it can read data. When it comes to the speed of transactions, Litecoin is one of the fastest cryptocurrencies available. 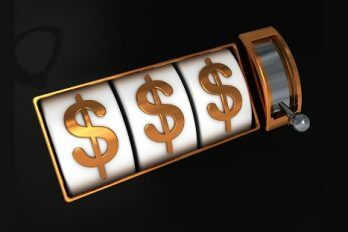 Because of this, many online casinos prefer it over other currencies. 1xBit, Betcoin.ag, FortuneJack and Bitcoin Penguin are just some of the betting sites that accept Litecoin. Dogecoin is based upon the popular 2013 meme, Shiba Inu doge. Initially created as a joke, Dogecoin is now one of the most prominent forms of digital currency. Since its creation, it has been used to raise money for non-profit reasons. Today, its capitalisation is around £260M, and a number of gambling sites are starting to accept it. With even faster transaction times than Litecoin, Dogecoin has a block reading speed of just 1 minute. The second fastest digital currency, Litecoin, has a reading speed of 2.5 minutes. 1xBit, FortuneJack, LuckyGames, Bitcoin Penguin, and PokerShibes are just some of the casinos that now accept Dogecoin. Namecoin is the first digital currency to use a big part of Bitcoin’s source code. Founded in 2011, the currency was created by a developer named ‘Vinced’. As nobody had yet used Bitcoin’s source code to create digital money, Vinced was given a reward for the invention. Like many cryptocurrencies, Namecoin is particularly popular amongst poker players. One of the biggest and most reliable poker websites, FortuneJack, now accepts Namecoin as a form of currency. There are a number of others that accept it too, including MoneroDice and Bit777. If you’re looking for a safer way to gamble, it may worth using a digital currency instead of real money. As cryptocurrencies are decentralised, no banks have jurisdiction over the transactions made using them. Because of this, your details and identity are protected while using the casino. Today, online casinos are the most popular way to gamble. Whether you prefer to use a smartphone, tablet, or computer, you can place a bet from the comfort of your own home. As they rise in popularly, new betting sites are popping up every day. While this gives you a wide selection, it can be difficult to decide which one to use. Thankfully, we are here to help. At casinobet.com, we review a wide range of casinos and games so that we can let you know which ones are best. Due to the addictive nature of gambling, it’s important to consider your financial situation before using an online or physical casino. What are the Top Casino Games for New Gamblers?